Minecraft Game Review - Download and Play Free Version! 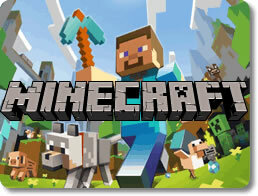 Download Minecraft for Free and Create Your Own World! Allows for endless levels of exploration and creativity. Thousands of secrets to discover. It's effectively many games in one package. It's a hassle to get a multiplayer game going. Enter the Do-It-Yourself World of Minecraft! Minecraft is an open world that lets you do anything you want. Farming, mining, questing, breeding, brewing and crafting all await players in this game! Minecraft's free form nature equals endless replay value. You will always be finding new goals and quests to undertake in this game. The only limit is your own imagination! Minecraft is never the same game twice. In survival mode, the goal of the game is to survive and thrive in a fierce overworld full of danger and hunger. When your player is first born, your most pressing goal is to build shelter and survive the first night. After that, your character will create their first tool, which is usually a pickaxe. This newly acquired pickaxe will open up the wide world of mining and gathering raw materials. These raw materials may be crafted into a wide variety of useful items. Gathering items and materials is one of the most time consuming and rewarding aspects of the game. Monsters often drop the rarest and greatest materials for crafting, so questing and battling mobs is a big part of the game. Survival mode does have a definitive ending, but the game doesn't stop there. You may continue playing the game in this mode even after the core objectives have been met. There are unlimited blocks and resources in creative mode, freeing players to unleash their wildest imaginings. With no hunger or health bar to worry about you can focus on building just about anything you can dream up. Cities, roller coasters, sets from movies and TV shows and more are just waiting to be built. The possibilities are truly endless! 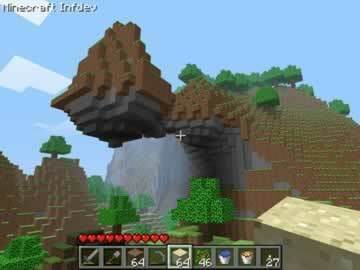 In addition to being essentially invincible, players can also fly in creative mode. Flying is both fun and practical, enabling you to move much faster than walking. The world of Minecraft is directly shaped by the player who plays it. Go from farming one day to slaying monsters the next. It's all entirely up to you. Minecraft defies strict genre rules and allows you to let your imagination run wild! Few people are immune to the charming 8 bit inspired artwork in Minecraft. The intentionally blocky style lends itself easily to a wide variety of different creations. Minecraft is a game that appeals to anyone with a creative streak. If you can think it, you can make it! When you purchase, download, install or just start playing a new game, what exactly are you looking for in it? Do you want to immerse yourself in a virtual world? Do you want to conquer challenges and solve problems? Do you want to exercise your creativity in some way? Minecraft shatters genre conventions like no game has before. It does all of the above in unique ways, and it does them amazingly well. To put it shortly, Minecraft has managed to become one of the deepest, most complex and most ambitious games ever produced, and it has managed to do so with only the simplest of mechanics. If you take a simple glance at a screenshot or video of Minecraft, you might not think much of it. Everything looks incredibly primitive, as if the game was made in 1995. Every scene, every object, and every creature is made entirely out of cubic blocks with only the simplest of pixilated textures applied to them. Give it a chance. There is an odd sense of retro beauty to Minecraft's aesthetics. 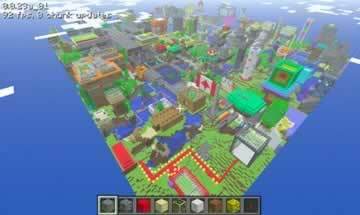 There are many blocks that are used to represent different kinds of substances, like dirt, rock, wood, water and metal, and they are all used as literal building blocks to craft these massive and intricate worlds. After a while, Minecraft looks less like a primitive mess and more like a virtual Lego set. There is a charm to its style. Even so, the game also manages to throw in plenty of ambience. Day passes into night in real time, the sky turns golden as the cubic sun rises and sets, and animals bark and bleat with authentic sound effects. Minecraft may not look like a real world, but it does what it can to feel like one. Figuring out what genre Minecraft belongs to is an exercise in futility. It dabbles in a lot of them! There are elements of adventure, survival-horror, RPG and simulation. You can play by yourself or with a whole group of people. More than anything else, what's not included in the base package can be easily modded in. At the heart of Minecraft's gameplay is the simple act of digging. Armed with what has got to be the mightiest pickaxe in the world, you can use it to break apart just about anything, including soil, rocks, iron and sheep. Just by hacking and whacking at the environment, you can clear out entire forests, level entire mountains, or even dig your own elaborate networks of underground tunnels. The potential is limitless. Not only that, but every item you destroy can then be added to your inventory. What you do with these items is up to you. At the very least, you can place them anywhere in the world. You can rearrange the scenery in whatever way you like, or create elaborate structures, houses, fortresses or statues with the materials you gather. There's a great sense of accomplishment in just building a little hut with four walls and a wooden door, but you're free to create an entire castle complete with towers and ramparts from the ground up if you want. Materials can also be used to craft useful tools like stronger pickaxes, swords and bows. You can put together environmental items as well, like torches, stairs, bookcases, pistons, trapdoors and ladders. The number of things you can craft is simply astounding! Unfortunately, this is where Minecraft's greatest weakness can be seen. Crafting is not an intuitive process, there are no tutorials around to explain anything to you, and the recipes can be pretty obscure. If you want to learn anything, then you'll have to read up or watch a guide, as well keep a cheat sheet of crafting recipes on hand. However, when you do get the hang of things, crafting can be a fun process. There's nothing quite like gathering the right quantity of materials from the world and putting together a legendary sword of blockiness to smite your enemies with! This leads straight into the Survival game. The goal of this mode is to survive for as long as you possibly can with the base mechanics in mind. During the day, your procedurally-generated world will be relatively safe; you're free to explore the place, collect resources, mine tunnels, build forts, and simply explore to find potentially useful resources. When night falls, things get hairy. All manner of dangerous creatures begin to appear, such as zombies, skeletons, giant spiders and the dreaded Endermen. These guys will try to kill you, so you've got to do everything you can to survive. How you do that is going to be up to your own ingenuity. You can erect walls to keep them at bay, dig out hiding spots, or take the fight to them using whatever weapons you've managed to amass. Combat is a fairly simple affair that works much like digging; just hack away at the enemy until they die, hopefully before they whittle you down. Combat's not all that deep, but it's fun to test your latest inventions against the most fearsome creatures the game can throw at you. Exploration plays a huge role in Survival mode as well. While the worlds are procedurally generated, they are expansive and filled with all sorts of distinct biomes. There are mountains, fields, rivers, deserts and forests to traverse through, each of which is rife with useful materials. More than that, you can even uncover massive caverns and ruins underground if you opt to dig. It's not enough to travel across the land of Minecraft; you'll also want to go under it. How many games let you do that? As said before, creation plays a large role in Minecraft's gameplay. If you have more fun just building things than surviving the horrors of its blocky universe, then you can opt to play the game's Creative mode. You're invincible, you have an infinite quantity of every item and resource in your inventory, and all the time in the world to just build whatever the heck you want. You can construct whole cities and landscapes if you feel so inclined, or put together blocky sculptures of your favorite characters, robots and vehicles. You can even make entire worlds that other players can explore. You can lose whole days just by playing by yourself in Minecraft. However, it's possible to get together with other people as well. Working with a partner or two or three can shake things up. You can build faster, cover more ground, and put your heads together to shape the world in really crazy ways. Sadly, it's very difficult to get started. In order to get the multiplayer going, you need to download additional software and configure the servers correctly. If you know nothing about networking, you're going to have a hard time getting things up and running. Quibbles aside, there's a reason why Minecraft has been the talk of the game industry since 2010. It's just that amazing! It's innovative, it's creative, and it's tremendous. You can construct entire worlds with its tools or go on an adventure that never ends. You can explore and shape the blocky lands by yourself in your own image, or do so together with some company. It may confuse you at first, but conquering the learning curve of Minecraft will make it that much more rewarding.